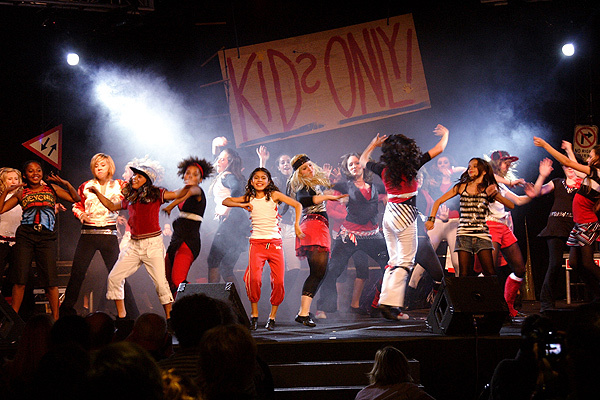 In addition to producing 50-100 community shows each year, the Kids on Stage for a Better World have delighted audiences with a large show each year. Since 1994, these large annual extravaganzas have been performed in their home venue, the Garden Pavilion Theatre of the beautiful Church of Scientology Celebrity Centre International. Find out more about each of these shows below, and click on the links to see more photos and video! The Kids found inspiration from great artists and writers, music and literature, as well their teachers and parents. 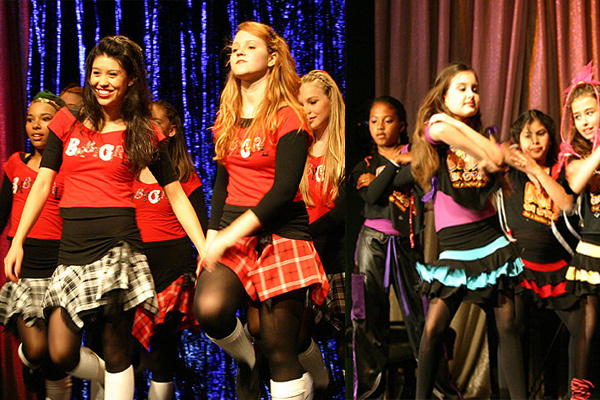 And the resulting show inspired everyone in the audience! The Kids explored the galaxy as Superheroes, solving problems with their superpowers -- such as Truth, Loyalty, Communication and Justice. 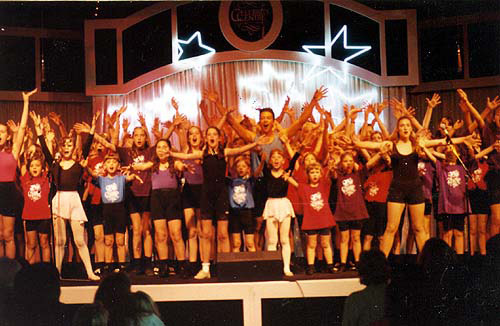 The Kids celebrated the 15th Anniversary of the group with a show in their Celebrity Centre "Clubhouse" that featured music and videos from each of the 15 years past. 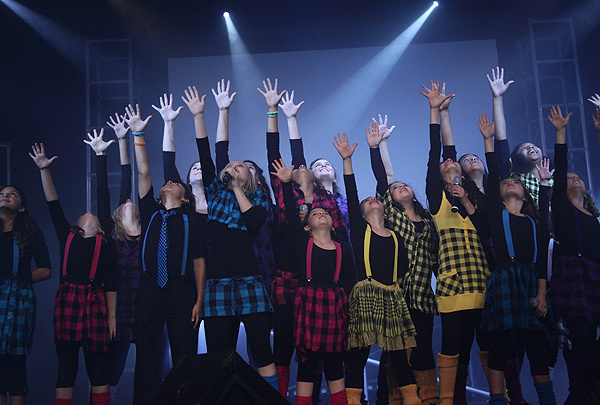 The Kids hit the stratosphere with a multi-media extravaganza designed to propel the audience into a brighter future. In their first multi-media show, the Kids explored the ways that they (and you) can plan a bright new future, starting now! In 2004, the Kids explored the Top 20 ways that we can all help to make a better world. And since our Top 20 list included things like "I can make sure that everyone is having a good time," you can be certain that the show was one of our most fun every! 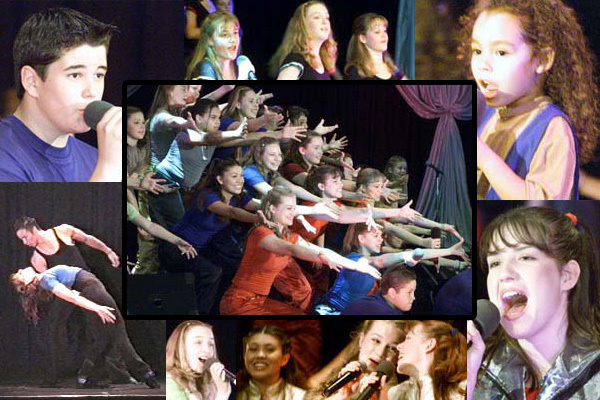 The Kids celebrated their 10th anniversary by reminding us all just how much joy can be found in creating. They used their talents to encourage audiences to use intention and creativity to make their own happiness. When you do something to help someone else, you just might inspire them to help someone, too. And if that person decides to help someone... well, you get the idea. 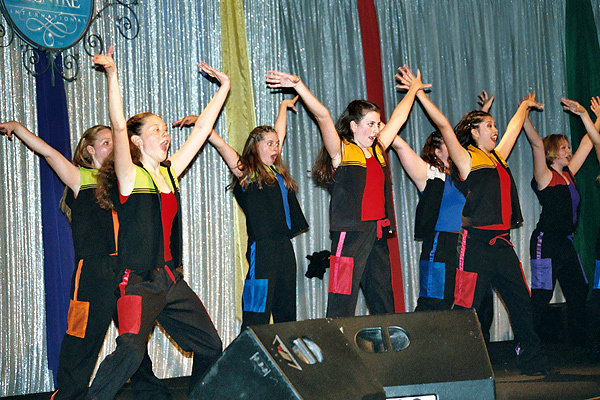 The Kids explored the idea of "passing it forward" in their 2001 musical, "Chain Reaction." Can you imagine what it would be like if everyone really got along? A world without war, insanity or criminals? In this musical extraveganza, the Kids explored what the world could be like ... if we all decided to make it that way. Don't be so serious! That was the message of our 1999 show. Sure, we all have problems, big and small. But if you approach them with a smile and a song in your heart -- and you have friends along to help you -- you can probably solve just about any problem. The Kids explored the component parts of life itself - the 8 Dynamics of Existence - in this incredibly fun and surprising show. Dreamers and Doers: that's what you'll find in this show. The Kids dream big, and then figure out exactly how to make those dreams come true. 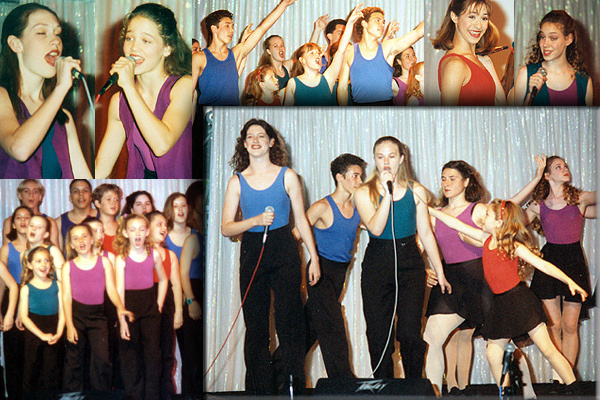 Do you recognize these young stars? A re-telling of A Christmas Carol, updated to '94 and with an 11-year-old Scrooge? 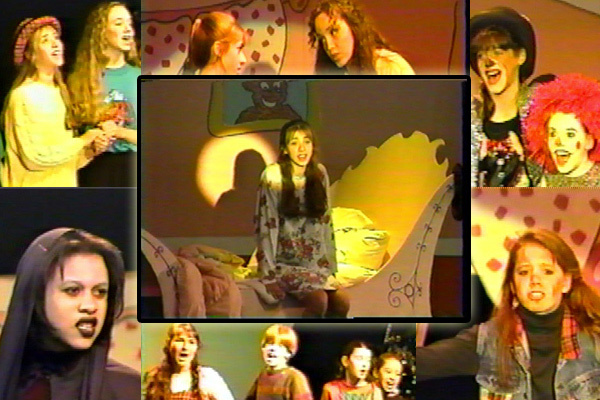 Yes, this charming musical with all-original music from Jon Batson made our 1994 a magical year! Wow! Second year, second show - bigger, better and more fun than ever! Check out the photos and video from our very first year!